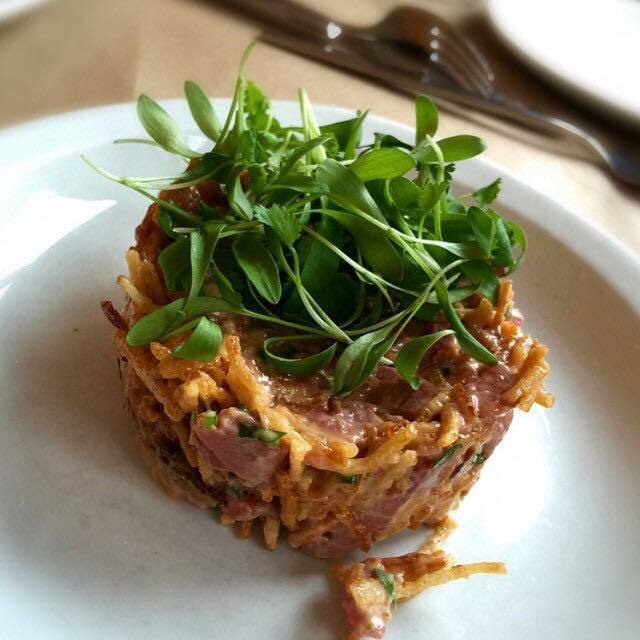 It’s no secret that the Montreal Food Divas love their tartare! Although tartare is largely attributed to French cuisine, it appears in variations all around the world. In Montreal, it’s hard to find a fine dining establishment that does not have tartare on the menu, and we aren’t just talking about beef tartare prepared in that classic French style. There are tons of different kinds of fish and meat tartares available, all prepared in various ways. 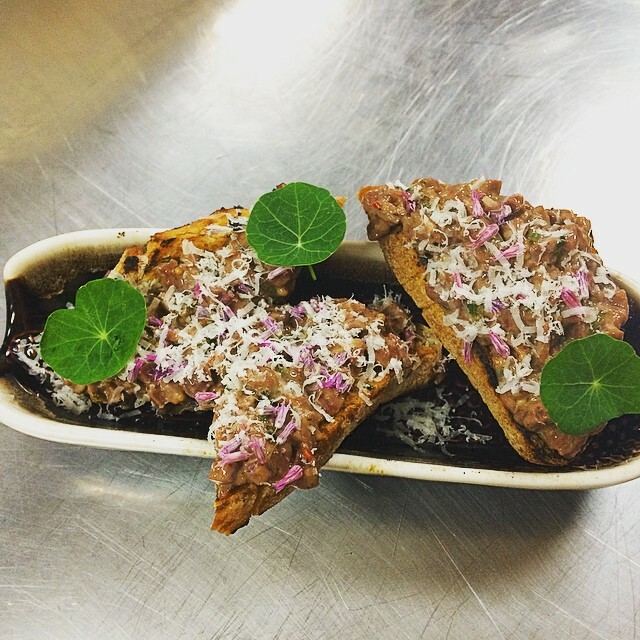 We made a list of our favourite Montreal restaurants to enjoy tartare in the city. Sometimes that raw craving hits you and you simply have to indulge! We’ve been in love with Le Slang and their two chefs for quite some time. Giancarlo Martino and Carlo Amalfi have been cooking up a storm and we keep coming back for more. Le Slang has two tartare dishes on their regular menu. Their tuna tartare is very refreshing on an avocado purée with tobiko, but first the tuna is tossed in a sweet soy vinaigrette. Peruvian peppers and peppery radishes add a punch of flavour to this tartare dish. If you want something heavier, try Le Slang’s beef tartare on a Romesco sauce, with enoki mushrooms and a pickled quail egg for added decadence. Definitely try both for contrasting flavours! If you want traditional French bistro steak tartare in Montreal, look no further than Restaurant L’Express in the Plateau. Their tartare is made in that classic Parisian bistro style with ground beef, as opposed to cubed beef that is more common in Montreal. Tossed with plenty of capers and a touch of parsley, this dish is quintessentially Parisian. Restaurant L’Express offers you the option of making your beef tartare spicy and enjoying it with either a green salad or French fries with their homemade mayo. 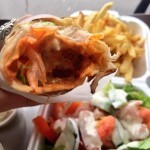 But make sure that you make a reservation; Restaurant L’Express is a well-known spot in Montreal! Tripes & Caviar is in Verdun, which is a touch off of the beaten path but worth the visit! This restaurant has an ever-changing- menu, and sadly our favourite tartare dish isn’t on their current menu but it can always come back! We loved Tripes & Caviar’s duck heart tartare with shaved foie gras. The duck heart was rich, meaty, and mixed with fried onions, and the foie gras torchon was shaved on the tartare at our table by the chef. They shaved so much delicious foie gras onto the tartare that we soon couldn’t see the duck underneath. It was better than snow falling on Christmas morning! Au Pied de Cochon has become a Montreal institution thanks to Chef Martin Picard, with plenty of specialty dishes, like their famous duck in a can and a burgeoning sugar shack by the same name. But let’s get raw and personal! 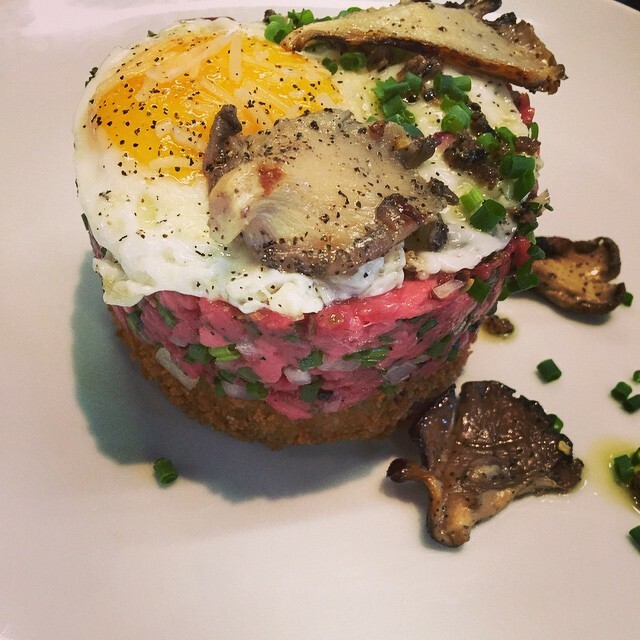 Au Pied de Cochon has bison, veal, and beef tartare on their menu, but our heart belongs to their bison tartare. The raw bison meat is thickly cut, not cubed, and it has that distinct gamey taste. Tossed with cooked onions and fresh herbs, the bison meat is truly enhanced by their choice of seasoning. 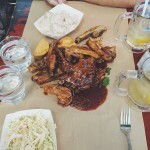 Served as a main with a fresh green salad and French fries cooked in duck fat, it comes as no surprise that Au Pied de Cochon is one of our favourite restaurants in Montreal. 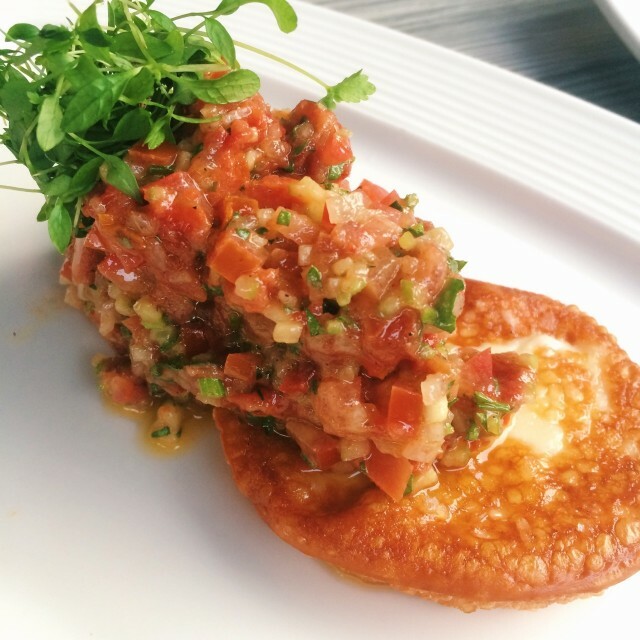 Chef Marie Fleur St-Pierre of Tapeo turns her nose up at the French by creating a Spanish beef tartare tapas. This dish is anything but simple with tiny julienned fried potatoes tossed with well-seasoned raw beef. The fried alfalfa sprouts topping the beef tartare tapas add another textural element to the creamy beef. Flavoured with piri-piri, this tapas has a flair for the dramatic. 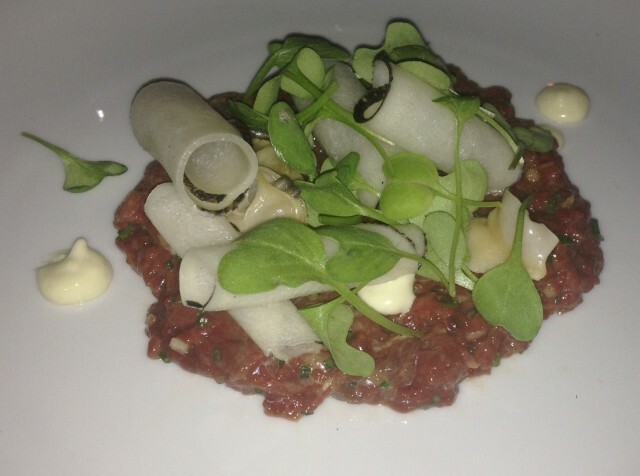 But this isn’t their only tartare dish, as Tapeo also serves a salmon tartare, but we always return for the beef! If you fall in love with Tapeo’s beef tartare like we did, check out Les tapas de Marie-Fleur, the recipe is in her cookbook! Hotel Herman does not get enough love! This Plateau restaurant with its famous u-shaped seating is known for its small plates, perfect for sharing. With a menu that changes frequently, you never know what you’re going to get at Hotel Herman. We hope you get lucky and find their deer tartare on the menu. The tartare was flattened and topped with clams that added a touch of that fishy saltiness to the meat. The gamey flavour was delightful and curls of thinly sliced black radish and dollops of horseradish also added a kick. All of this was managed without overpowering the taste of the meat. Hopefully Hotel Herman brings back this unique dish. 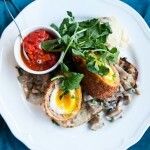 That’s what we love and hate about seasonal menus, you never know what you’re going to get! 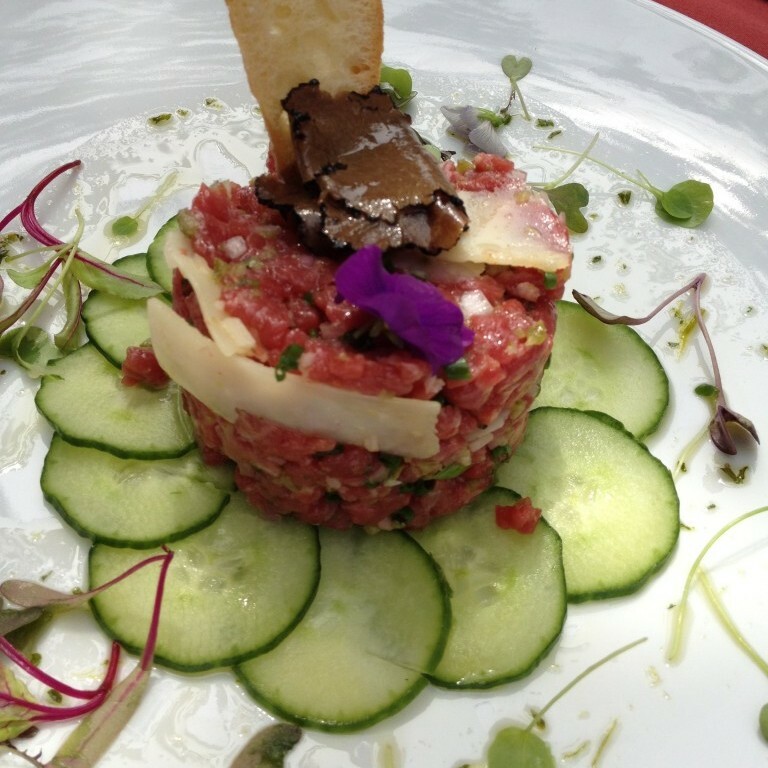 We have been in love with Le Pois Penché from the beginning; the banner on our website includes a picture of their beef tartare. 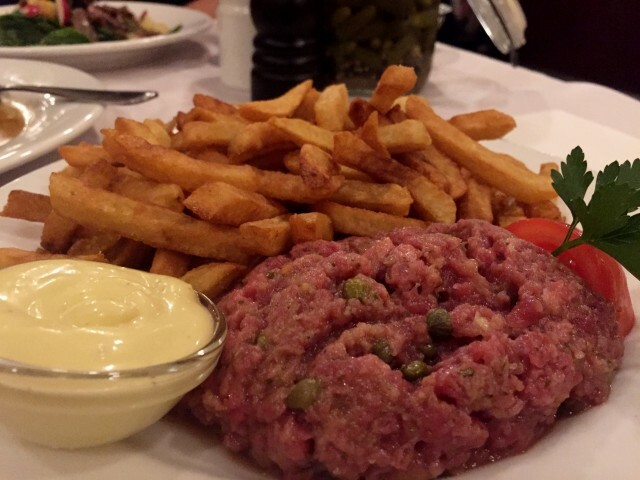 You can have their beef tartare as an appetizer or a main with fries or salad, prepared in a classic French style or the Italian style that we opt for. They even have a salmon tartare on the menu. The presentation of Le Pois Penché’s Italian beef tartare is exquisite, the hand cut steak is served on a bed of cucumbers with a crusty slice of baguette coming out of the centre of the tartare. A generous amount of parmesan and black truffle shavings add to its decadence and the edible flowers are a nice touch. Le Pois Penché is located in downtown Montreal, and popular amongst the business lunch crowd. 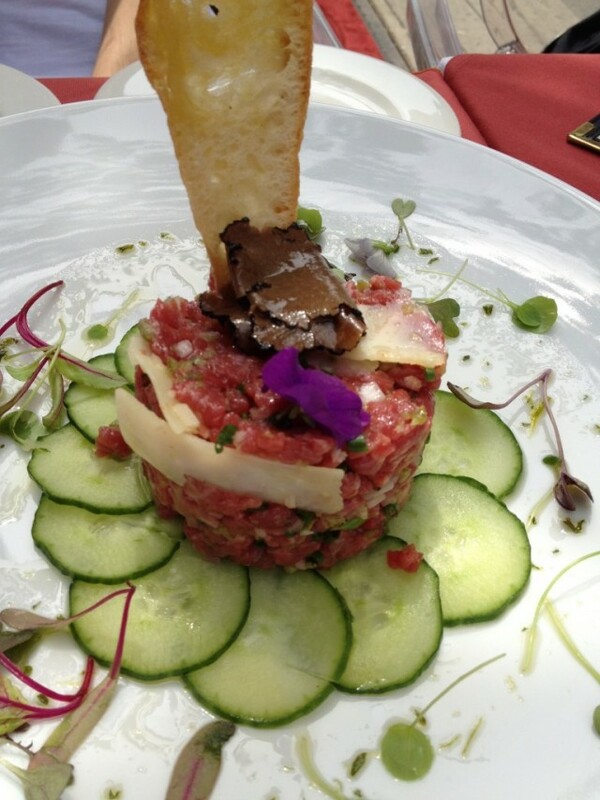 Did you know that tartare does not just equate to raw meat and fish? Buonanotte supper club has a delicious tartare di pomodoro. This Italian supper club serves a tartare dish of confit tomatoes with both lightly cooked and raw tomatoes: the epitome of summer freshness. The tomatoes are tossed with cucumber, pickled shallots, fried cacciocavallo cheese, and croutons for that added bite. Buonanotte is more than the traditional supper club that sacrifices the quality of food for the party; this gem does it all. 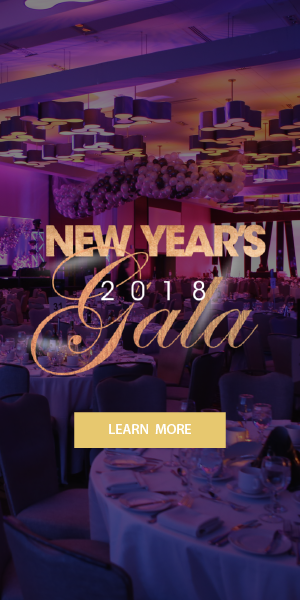 It comes as no surprise that Buonanotte has been livening up the Main since 1991. Le Valois is a French bistro in the Hochelaga-Maisonneuve area of Montreal. We have tried almost everything on their menu and we can’t get enough. 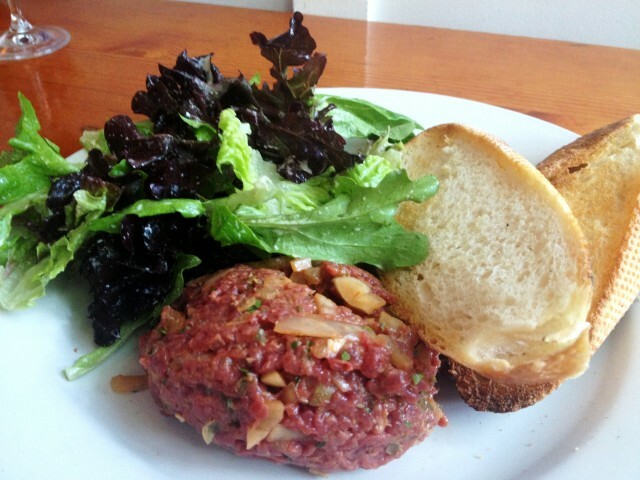 They offer their tartare dishes as appetizers or as mains with salad or fries. Their salmon tartare is delicious but our heart belongs to Le Valois’ beef tartare with a mushroom mayonnaise that adds a whole other creamy dimension of flavour. 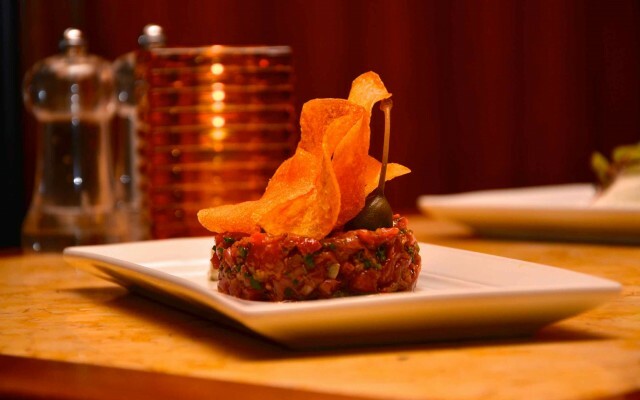 This tartare dish is prepared in that classic French style and topped with crispy chips. If that’s not enough, Le Valois added some basil infused olive oil to their tartare dish for some more decadent dipping. 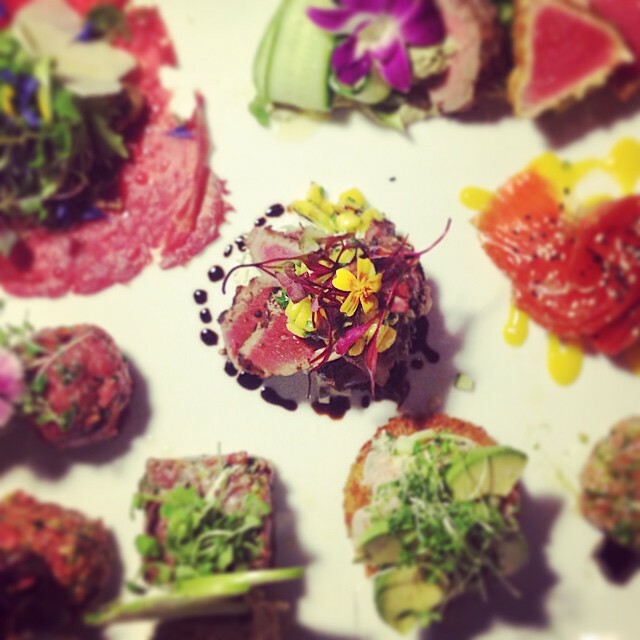 Lustucru is a raw cuisine restaurant in Outremont and they have tons of delicious tartare dishes! Our favourites include the duck tartare with roasted hazelnuts, figs, a mustard raisin concoction, and a light potato salad. A truly exceptional combination of flavours! For something truly unique, try Lustucru’s fluke tartare with caviar and avocado on a fried risotto cake. It will be like nothing you’ve ever tried! You can even order the entire raw menu if you want to have it all, tartares, carpaccios, and tatakis too. Lustucru is truly an expert when it comes to tartare and you’ll definitely find a few favourites in this restaurant that specializes in raw cuisine. Of course the chalkboard menu restaurants need some love too! 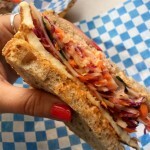 Especially when they are located steps away from the Jean Talon Market, which is a haven of fresh ingredients. Primo & Secondo in Little Italy is your typical Italian restaurant with white tablecloths and a relaxed ambiance. 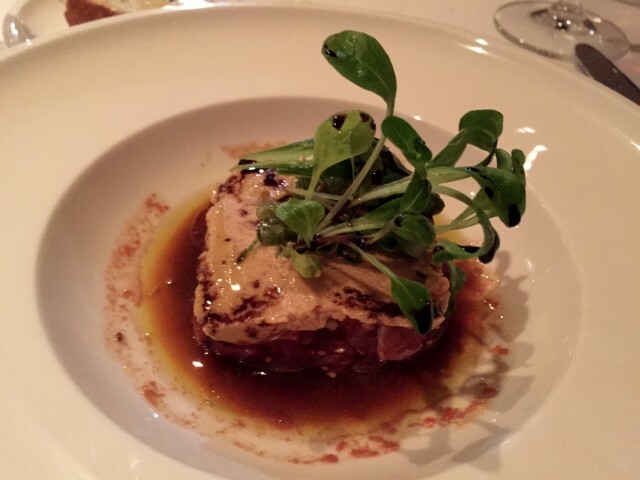 We fell in love with Primo & Secondo’s tuna tartare with foie gras. It was our first time trying raw tuna with creamy foie gras torchon. It was a delightful combination of flavours and textures – a touch of French fusion enhancing Primo & Secondo’s Italian fare. Their seasonal menu means that dishes come and go but we hope you get lucky enough to find this tartare dish on their menu! Marché 27 is sort of everywhere! With a sit down restaurant in the Plateau and two Express locations in downtown Montreal, it truly is THE tartare spot in Montreal. At the restaurant, you can order the fish tartare platter or the meat tartare platter, or you can mix and match different styles with raw meat or fish. Our Marché 27 favourites include the beef tartare Italian style with parmesan, truffle oil, and chives, or their red tuna tartare Japanese style with tempura, ginger, wasabi, and shallots. They also have a tropical style with plenty of fresh pineapple, melon, and cilantro that is excellent with salmon. Can you tell that we adore Marché 27?